Two of the world's most iconic skate brands team up for a unique collection of footwear and apparel that celebrates their storied histories. 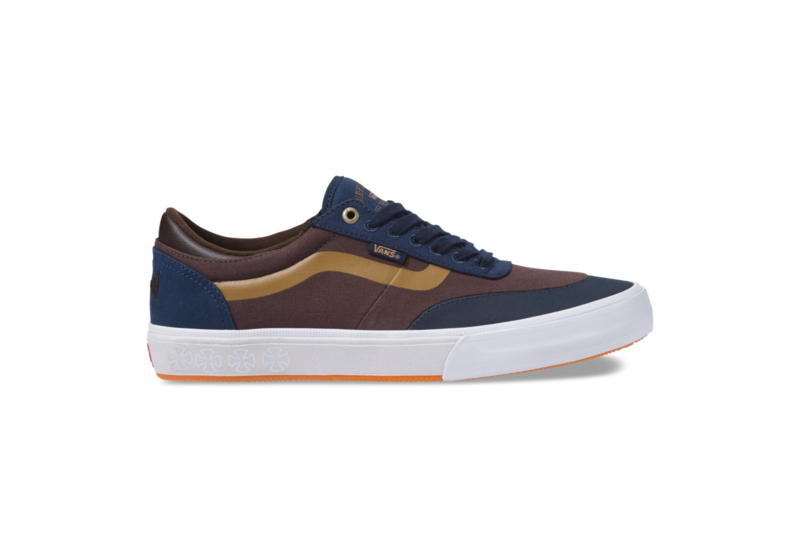 Inspired by Independent's iconic cross logo, the Vans x Independent Gilbert Crockett 2 Pro features sturdy leather and twill uppers with custom collaboration details, molded heel pocket inserts, and DURACAP upper reinforcement in high wear areas for unrivaled durability. The Gilbert Crockett Pro 2 also includes UltraCush HD footbeds to keep the foot close to the board while providing the highest level of impact cushioning, and revolutionary Wafflecup construction that offers the support of a cupsole without sacrificing any of the grip or boardfeel of a traditional vulcanized shoe.